Here are my plans for Reporting and Analytics 2017…want to join me? I am preparing for SAP Insider’s Reporting 2017 conferences taking place in November in Las Vegas. I am using the agenda builder to plan out other I will be attending while there. You can also check out the What’s New brochure, with brand new content, networking sessions, and product roadmap sessions from SAP. I hope to participate in the SAP Experts sessions – this is a great time to sit down informally with SAP experts and mentors to get your specific questions answered. There will be experts to cover a wide range of BI, BusinessObjects, Developer, and HANA questions. I have attended these several times, both with questions from myself and it is good to hear other attendee’s questions and listen to the SAP experts’ answer. One year we were there so long they facilities people had to flash the lights so we would leave. I look forward to attending this event every year to catch up with colleagues, keep up to speed with the latest on SAP solutions and SAP’s roadmap, and to get tips for making the most of SAP solutions. Find out more about this event at www.Reporting2017.com . Reporting & Analytics 2017 is co-located with Managing Your SAP Projects 2017, Cybersecurity for SAP Customers 2017, and SAP Cloud Platform Seminar. Registering for one event provides access to sessions across all 4 events. By registering for any one of these conferences you can access sessions at all of them. 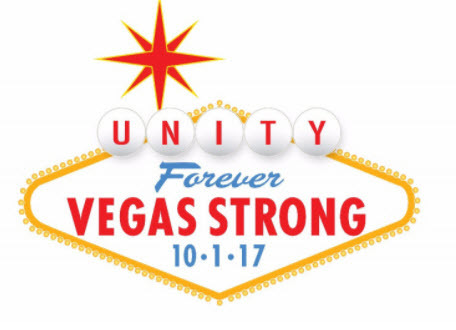 After what happened last week in Las Vegas, I can’t help but think one of the best ways to support Las Vegas is to go back. At SAP TechEd Las Vegas last week, I had dinner with someone who was new to Las Vegas (she is from Europe) and she couldn’t get over how friendly and helpful everyone was. I can’t recall a bad experience with anyone in this town. In fact I have received extraordinary service. One night after some jet lag, I woke up at 2:30 AM, went to the lobby and found the Coffee Bean was closed. I asked the security guard “where can I get coffee?” and he says “let me call Heather to see if she will open for you”. Heather opened the coffee shop just for me. Where else do you see such high quality of service?